Ashley prototyped, tested, and validated a web based application for Persado, a computational linguistics startup. The application has now been split into two separate apps: Persado Go and Persado [X]. 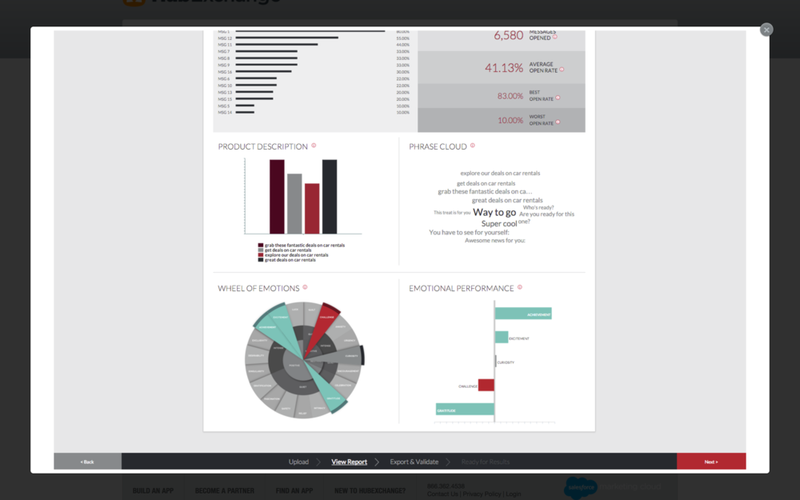 The application launched in the fall of 2014 on HubExchange, the app marketplace for Salesforce Marketing Cloud. Ashley was tasked with creating a HubExchange application (subsequently purchased by Salesforce) that allows for email marketing campaigns with multiple variations for testing purposes. Persado’s ultimate goal was to use this app as a sales funnel to land large deals with their primary SaaS product. 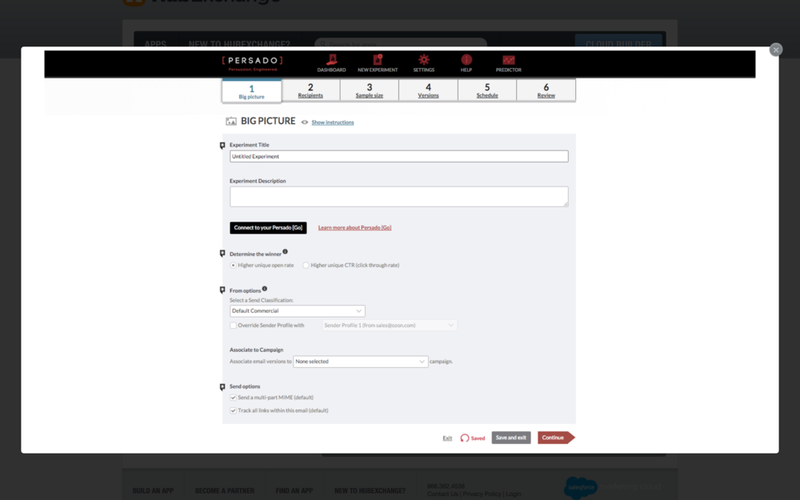 Exclusively for Salesforce Marketing Cloud Users, Persado X offers the ability to statistically split test unlimited message variants, at scale, with ease. Persado X is also the only user interface to offer complete integration with Persado Go, the first machine-learning technology platform offering content generation and analytics. Seamlessly Integrate with Persado Go: Leverage the most powerful machine-learning technology platform for content generation at scale. Generate better product descriptions: Use Persado's idea generator to find other ways to describe your product or offer. Maximize responses: Visualize which descriptive, formatting, and emotional elements drive the highest response rates. Determine the best combination with high statistical confidence.